Why See Little Steven and the Disciples of Soul? Bada Bing! Little Steve's Back! 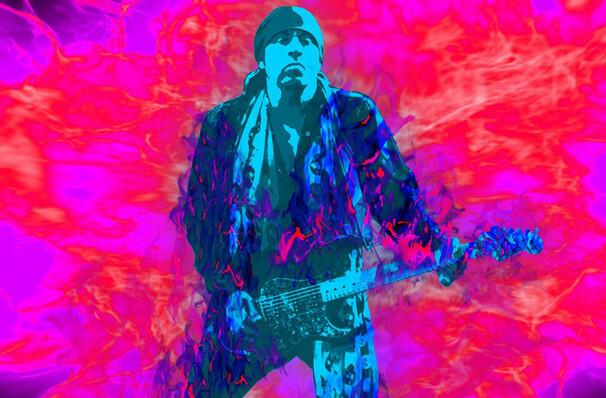 Best known as a member of the E-Street band (or for his role on The Sopranos), Steven Van Zandt's other gig is his solo project, Little Steven and the Disciples of Soul. He released two records of RnB-influenced garage rock under the Disciples moniker in the 1980s, and returned nearly two decades later in 2018 with the long-awaited third album - Soulfire. It was an assured blend of blues and rock 'n' roll, that favored personal insight over the political commentary of his earlier LPs. Together with a host of talented musicians who have worked with him (and Bruce) throughout the years, Little Steven is taking Soulfire on the road. Sound good to you? 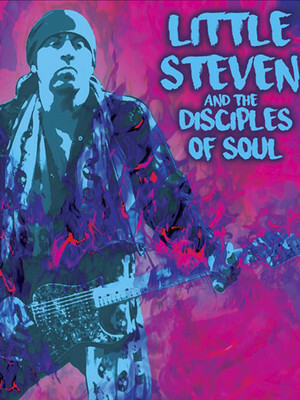 Share this page on social media and let your friends know about Little Steven and the Disciples of Soul at Center Stage Theater. Please note: The term Center Stage Theater and/or Little Steven and the Disciples of Soul as well as all associated graphics, logos, and/or other trademarks, tradenames or copyrights are the property of the Center Stage Theater and/or Little Steven and the Disciples of Soul and are used herein for factual descriptive purposes only. We are in no way associated with or authorized by the Center Stage Theater and/or Little Steven and the Disciples of Soul and neither that entity nor any of its affiliates have licensed or endorsed us to sell tickets, goods and or services in conjunction with their events.